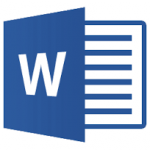 The ‘D version’ of our AS9100 Implementation and Guidance Kit is available as a Microsoft Word (.docx files) template set that addresses all clauses in AS9001D. The documents were first developed to assist AS9100C management system users to transition to the AS9100D framework that was derived from ISO 9001:2015. QMSCAPA Software is included and offers a complete set of controls and performance monitoring tools required by the AS9100 Standard. The AS9100 Implementation and Guidance Kit includes free support via email for the Microsoft Word templates and QMSCAPA software. Also, optional real-time support by an ABCI Consultant is available by appointment. Training Validation, plus much more.